Tomorrow kicks off the holiday season (at least in my mind) and I actually have my costume together for the first time in…well, I don’t even remember how long. Granted it is pretty basic, I am going to be Sleeping Beauty, which is pretty much pj’s and a tiara, but I did buy these awesome slippers to wear. In all honesty I came up with the idea so I could buy the slippers, but the end result is the same. Awesome foot gear and an office appropriate costume. Whoo-hoo! 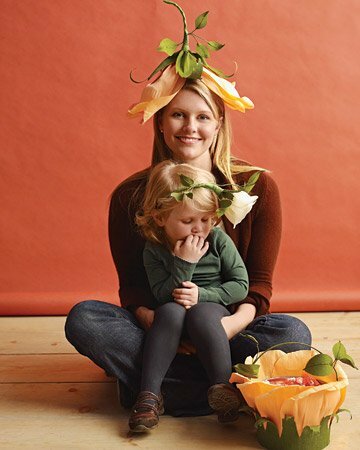 Since I know there are probably still a few of you that haven’t put together your costumes yet, here are some ideas from the crafting queen herself Martha Stewart. See? All you need is a quick trip to the craft aisle and you’re good to go. PS: I am seriously thinking about using the Madame Butterfly costume next year.